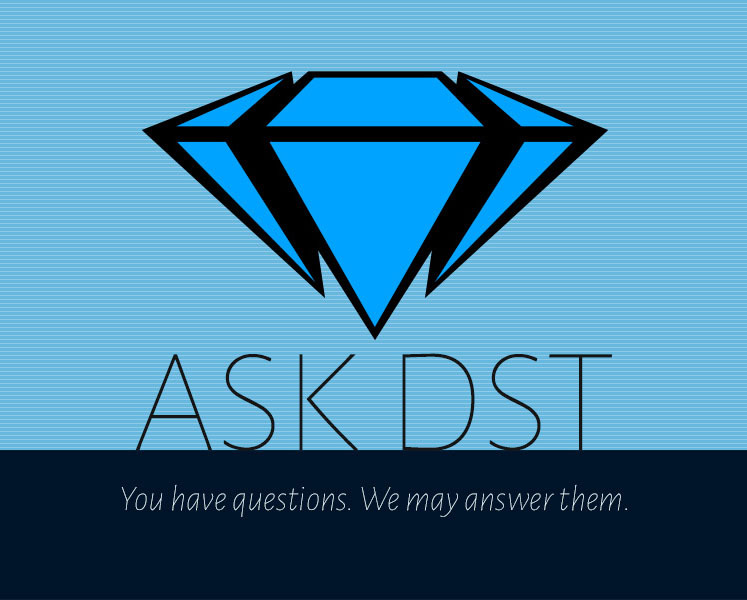 It’s the 350th Ask DST, with DST president DSTChuck, and it’s about everything! “Wait, everything?” EVERYTHING! Okay, not everything. But between Star Trek, Ghostbusters, Gotham, Batman, Lost in Space and Pirates of the Caribbean (plus some things we DON’T have the license for), it certainly feels like everything! Read on to see if your question was answered, then submit one in the drop-down form up top, or e-mail DSTChuck! I think you might have mentioned in a previous Q&A that you had attempted or at least looked into acquiring the license from Paramount to produce action figures and /or ships from the new Star Trek reboot movies. What do you think is the likelihood that you might eventually acquire that license? I don’t think there are currently any other companies producing action figures and vehicles from those movies and I would think they would be glad to have at least one company producing something. Also, are you interested in possibly producing action figures and /or ships from the new series, Star Trek: Discovery? Thanks for your time. DSTChuck: Dan we have ongoing talks with CBS about Trek all the time – we’re known to be persistent, so you never know. As more is known about Discovery, I think those talks can begin as well. Would you ever consider a line of classic horror figures outside of the Universal pantheon? Like Nosferatu, The Golem, White Zombie, etc.? I think you’d make an excellent Count Orlock/Nosferatu figure, and the best part is he’s public domain, so there would be no licensing fees. Thank you for your time. DSTChuck: There was a similar toy line called Silent Screamers a ways back, but I do not think we are considering such a line at this time. I love your products and own The Batgirl 66 bust and the Batgirl 66 Premiere collection statue. I have seen the Batman 66 Bust banks of Batman, Robin, Joker, Penguin etc. I was wondering if you were going to make one of Batgirl as well. DSTChuck: We are absolutely considering more banks for the 1966 line! I remember when I was in my 7th grade, I was happily crying as I got my first DST (Art Asylum then) ship model, the USS Enterprise refit. 12 years after, I have been still longing for you guys to make my all-time favorite Star Trek ship, the USS Voyager. Will I ever see a DST USS Voyager in this lifetime? Shout out from the Philippines to everyone there making amazing Star Trek toys! DSTChuck: Mark, so glad you have such a wonderful memory of one of our products. The Voyager is on our short list of ships we’d like to do, BUT I do not think it will be the ship we do after the Reliant. I would like to know if it is going to make the car of the Ghostbusters Ecto 1-A in 1:15 scale with lights and sound effects like the Delorean of Back to the Future? That would be awesome!!! Thanks. DSTChuck: We certainly would like to, but development is dragging for several reasons, so it’s still a little ways off. Sorry. And did you guys ever consider crowdfunding to get a hard project on track? DSTChuck: We have considered almost all of those, and most are not available for one reason or another. But never say never. I know it’s a niche market, but I have to ask: since the Munsters action figures did remarkable business, would you consider a sixties-accurate ADDAMS FAMILY figure series? After all, if the Munsters can do profit, surely the Addams Family can do easily as well, or better. DSTChuck: We did at one time consider Addams Family as a follow-up, so never say never. I appreciate the great work you guys are doing with the DC Animated style PVC statues. I’m looking forward to Nightwing and Mr. Freeze, and I’m wondering if they are on your schedule for this year. You’re making this fan very happy, thanks! Great job! DSTChuck: As of this moment, we are planning a full year of PVC for the DC animated line in 2017, so there are many more to come, and at least one of them should make you happy. Hey Chuck, is there any chance Pirates of the Caribbean Select is happening this year? From the first film to the new one? DSTChuck: Yes, you should see some POTC: Dead Men Tell No Tales Select figures from us this year, starting with Jack and Barbossa, with buildable ship deck diorama. DSTChuck: We have not actively solicited that item yet, but once you see it in Previews we will be confident in its ship date. An electronic issue we did not expect cropped up late in the development cycle. Love the Ghostbusters rooftop diorama! It’s fantastic! Any chance of doing something similar with the Star Trek figures for a Build-A-Bridge? I’d buy Classic Trek figures all over again for that. DSTChuck: Sorry, there are no plans for that at this time. Hello! I wonder if you’re considering a re-release of the NCC-1701-A (Undiscovered Country) Enterprise. Dare I hope? DSTChuck: Any ship we have released before is always considered for a re-release, aside from any that are done as SDCC exclusives. It looks like a new shipment of Enterprise-As have just hit the warehouse! Hey gang, just got my Romulan Bird Of Prey, and I couldn’t be happier with this model. I hope some day you guys do a Romulan War Bird, and maybe even the Scout ship seen in TNG. On to my questions. 1. What is the hold up with the TNG Phaser? 2. Will we get any other tech from TNG, DS9, Voyager, or Enterprise? 3. Is there a chance you could release a pack with all three TOS Tricorders, a pack with all three Phasers, and a pack with all three Communicators? I know that there aren’t three Communicators, but one can dream. 4. Will we ever see the Enterprise Phase Pistol, and Communicator again? 5. Will we ever see an Enterprise Scanner? 6. Can I beg you for the USS Voyager to be your next ship? Thanks for answering my questions, and keep up the amazing models, and tech. 2)	We have not planned our role play items beyond the TNG phaser. 3)	We have done that in the past, but the SRP was pretty high, so we have no plans at this time to do it again. 4)	I would not expect so. 5)	I would not expect so. 6)	Of course you can! 7)	You are welcome, my pleasure! Hey, Chuck! Kinda got out of the action figure thing last year, and seems I missed you guys were doing the Dragon Age line. Is it only Morrigan or are you guys doing more and has she been released yet? P.S.- please do the Mass Effect franchise. There’s now four games as Andromeda is out in March 2017 and you guys would be rolling in cash money. Seriously it’s win-win!!! DSTChuck: We have no plans at this time to release figures for Mass Effect or Dragon Age. Any chance of getting a Dogma figure line? Until Jay and Bob from that movie come out in figure form, Mallrats is my favorite line you’ve done. But I really would love a Bartleby and Loki as well. Just a thought. DSTChuck: There are no plans at this time, but we’re always looking at things we can do with Kevin. Will there ever be a toy of the character Jerome Valeska from the Gotham TV series? Hello. Are there any intentions of releasing the last of The Original Series ships The Klingon Battle Cruiser? I love your ships– the only frustrating thing is the time in between releases. A pre-order to determine if it’s worth producing would be a great idea. DSTChuck: There are no plans at this time , but I can confirm we have not locked down for sure what our next two ships will be. Will we see a Ghostbusters II line in the near future? DSTChuck: Yes, the first figure (Vigo) was revealed at Toy Fair, along with designs for the build-a-Firehouse diorama. It will run thorugh Series 6, 7, 8, 9 and 10. Since you’ve done Robby the Robot from “Forbidden Planet” is there any chance of you doing the C-57D? It’d be cool to get it with fold down landing gear/steps and pull down center pedestal. Not to mention the “Lights and Sound” effects for when you display in flight mode. What is Diamond Select’s plans for their 1:15 scale vehicle line. I love the ‘Back to the Future’ DeLorean(s), the Knight Rider Car(s). DSTChuck: Maybe the Ecto-1, work continues! Hi! Any plans for a new version of Jim Gordon (updated haircut, blue suit…) in the Gotham Select line? DSTChuck: I think we would look to new characters for Gotham before we looked at a second version of Jim Gordon. Hi there! Just wanted to say a job well done on the Romulan Bird of Prey ship, its totally awesome! Looking forward to the Starship Reliant. Wondering if there will be a re-release of the Enterprise NX-01 as seen in the episode ”Mirror Darkly”? I looked online, and the ones that were released over 10 years ago in limited production are fetching a high price.